It’s the last Sunday of the first month of the year- can you believe it?!? Time really has sped by so far this year. 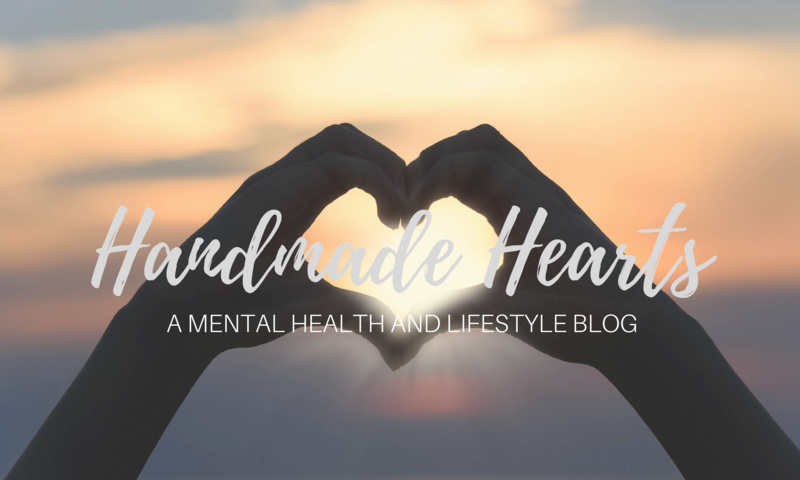 As all of my regular readers know, Sundays on my blog are dedicated to open letters on Handmade Hearts. As I mentioned in last week’s post, my weekly letters are going to be thematic instead of simple free-writes about how my week went. As you’ve probably guessed from the title, this week’s post is on learning to handle criticism. I felt the need to write about this, because a couple of days ago, I was reminded of the constant insecurity I felt at this time last year, after working the previous few months in an environment that was not compatible with my personality. By saying this, I’m not at all saying that the place I was working was a bad place- I want to make that very clear here. While I want to maintain complete honesty with everyone who reads this blog, I definetely don’t want to use that as an excuse to bash on anybody. People are multi-dimensional, as we talked about last week, and after all, hate is not at all good for mental health. This place where I worked, as I realize now, was just not something that I was mentally readily for at the time, which resulted in me not being at my best. We’ll get more into that through this post. I often see people who are popular on social media talking about their self-confidence by saying “I don’t care what other people say about me!”My personal opinion is that you should care what some people saying and think about you- the most important people, like your family, your friends, your co-workers and otherwise. You should definetely care about the thoughts, opinions and lives of the people who are there for you the most, in one way or the other. These are the people who shape your life, and who help you the most. At times, they can also be the ones to critique you the most. Because I was still learning to communicate, I didn’t have the skills already to seek help when I needed it. I really wanted to prove to myself and everyone else that I worked with that I could be good at what I was doing. And I made this goal very personal to myself and so when people gave me criticism, I took this very personally as well. I kept telling myself that I was doing okay, I just needed more practice with things and I would get better over time. But I kept messing up, and eventually I started to expect myself to mess up. It was definetely a reinforced cycle of negativity that I perpetuated on myself. Criticism is often handled very poorly by those who give it, and by those who have to take it. Both sides often forget to account for empathy. Those who are giving criticism often forget that they forget that at some point, they were the person standing on the other side. Those who get it forget that most often criticism is given in an effort to help rather than to hinder. It is because of poor communication on both sides that criticism often is taken the wrong way. Since this post is directed at how criticism should be received, we’ll start the discussion on how to handle criticism with the notion that handling criticism correctly is about truly, truly listening to the other person. It’s about understanding that they aren’t giving you criticism because they think that you are bad, or they want you to feel dumb or lesser than any other person. They are telling you this because they want to help you become better. If they didn’t care, they wouldn’t tell you- they’d just let it go. And so while it can hurt to always feel like you are being forced to think about the worst things about yourself, remind yourself that this is exactly what you should not be feeling. Turn the situation around- remind yourself that you are strong and capable, and most importantly, like every other person, you are still growing. Criticism is just a reminder of that. If I could go back and speak to my 19-year-old-self, buried under so much anxiety and stress all the time, I would tell her nothing you do should be about proving anything to anyone- not even to yourself. “Proving” is finite- you can’t go anywhere from there. But the fact that everyone messes up all the time, even every day, is the perfect evidence that everyone can keep getting better, and that’s really all we can do. Knowing that you can only move up and that your criticizer is there to help you, you can truly move forward. But there is one last piece to the puzzle: a plan! Another thing I would tell my 19-year-old self to do is to not just tell myself that I could get better, but to plan how I would actually get better at what I was doing. Planning is all about being reflective. If it helps, sit down and talk to someone you trust about how you are feeling, or even write out a list of things that you can do to improve based on the critique that was given to you. Plan your actions, not just your future. I’ll end this letter by saying that there is definetely an importance in recognizing that criticism is hard to receive, no matter who you get it from. The last thing I would tell my 19-year-old self is to really embrace the vulnerability that comes with recognizing that you have weaknesses- likely, you have many of them. But so does everyone else, and so while its important that you recognize your vulnerabilities, its also essential that you look at them as opportunities to get stronger. Your weaknesses don’t have to be weaknesses after all. Next PostNext A short guide to getting those certain people off of your mind.